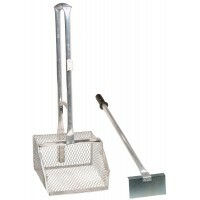 Features a reinforced scoop nose and made of lightweight expanded aluminium mesh. The scoop separate.. 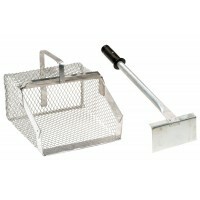 Features a reinforced scoop nose made of lightweight expanded aluminium mesh. 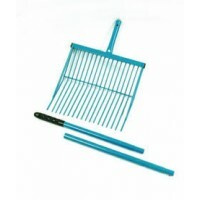 The scoop separates sa..
A 3 piece sturdy steel stable fork for easy use and storage at home or in the float. 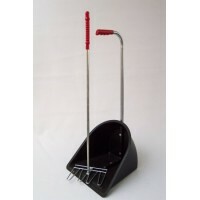 ..
Top quality Australian made heavy duty stable fork . 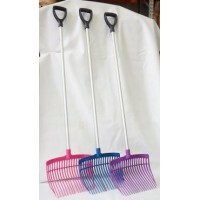 The fork head is made from BHP high tensile ste..
Ergonomically designed stable fork in three fresh colours. 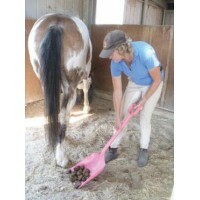 A back saving 160cm total length combined..
Lightweight yet sturdy manure scoop. 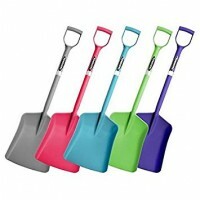 Less cumbersome to use than other models, the scoop featu..
Lightweight but super tough "plastic injection" stable shovel. 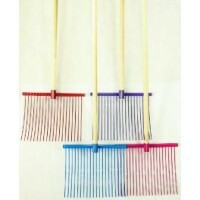 One metre tall, ideal for shovelling ..